Feel free to leave a review on the quality of our work and products on the About Us page. Let our yard heat your home this winter! We now offer Rice, Pea and Chestnut Coal, available for pick up or delivery, bulk or bagged. Give Dave a call at the number above before old man winter comes knocking at your door. For when things really get icy we have Anti Skid available as well in bag or bulk. Check our PRODUCTS page for more information. 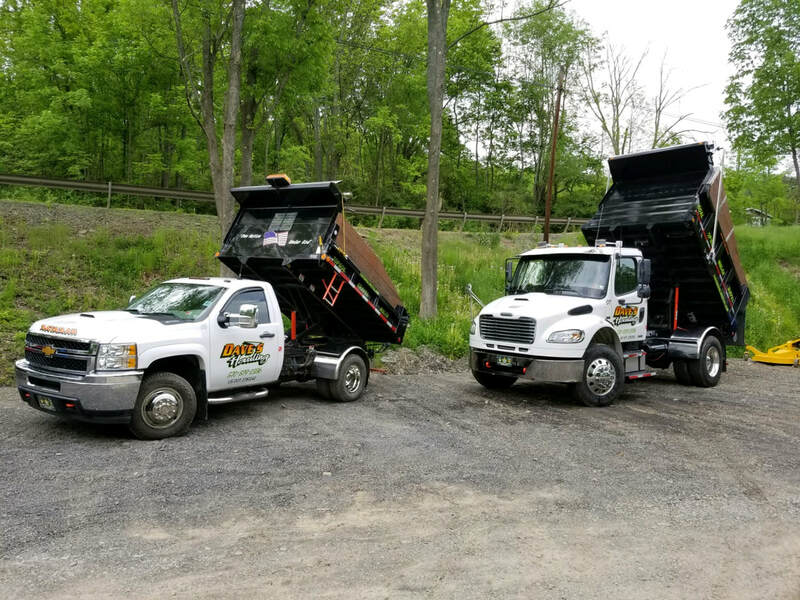 With service to North East PA and Southern Tier of NY, we are your one stop shopping for all things landscape, excavating and hauling. We can install our products for you! We have a local yard filled with all your decorative and standard gravel, stone, mulch and topsoil needs as well as many other items such as hay for erosion control. Easy to get to, midway between Hallstead and Susquehanna, PA on SR171. Give us a call at (570) 879-2336, email or visit our Contact page. With fast, friendly service, we aim to please. ALL DELIVERIES ARE BY APPOINTMENT ONLY. WINTER HOURS: FROM OCTOBER TO MARCH, WE ARE BY APPOINTMENT ONLY FOR COAL AND ALL OTHER SERVICES. Make sure to click the Facebook Logo to the left to find us on Facebook. We will be posting price updates and specials for all of our friends.